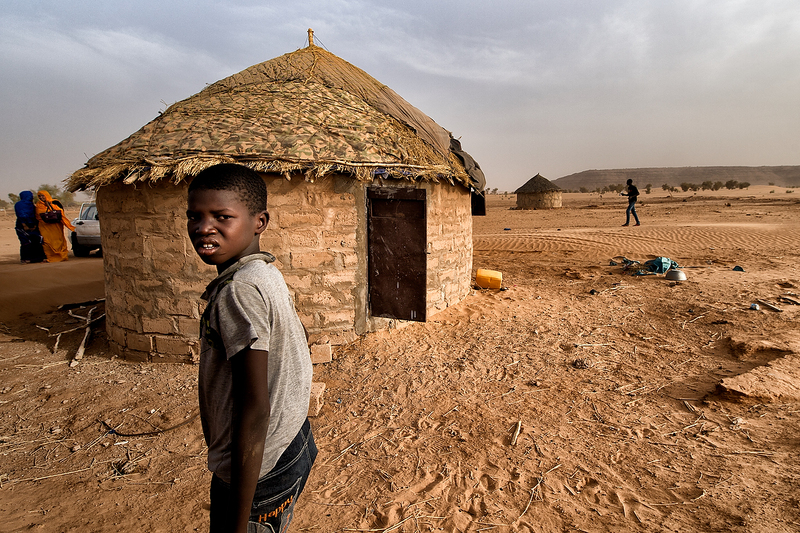 A boy walks past traditional houses in village Baghdad 2 in the outskirts of Guerrou, Mauritania. More than 130 million girls and women have experienced FGM/C in 29 countries in Africa and the Middle East where the practice is most common. Nearly 70 per cent of girls and women in Mauritania have undergone FGM with those living in rural areas and from poorer households more likely to experience the practice. FGM/C may cause severe pain and can result in prolonged bleeding, infection, infertility and even death. UNICEF and the government of Mauritania together with communities, NGO’s and other partners laid the path to fight to abandon this practice.